عندما تزور هذه المدينة رائعة الجمال، ستشعر أنك في بيتك في Grange On Farrelly Motel الذي يقدم لك إقامة متميزة و خدمات عظيمة. إن موقع الفندق الاستراتيجي، الذي يبعد فقط عن مركز المدينة، يسمح للنزلاء بالوصول سريعاً وبسهولة إلى العديد من الوجهات المحلية المثيرة. يوجد العديد من المعالم السياحية الأكثر جذبًا للسياح في هذه المنطقة. إن Grange On Farrelly Motel حريص على توفير الراحة للنزلاء، فلا يوفر الموظفون جهداً في تقديم أفضل الخدمات وضمان حسن الاستقبال. يقدم هذا الفندق العديد من الخدمات الكفيلة بإرضاء أكثر الضيوف تطلباً. استمتع بوسائل الراحة الراقية في الغرف أثناء إقامتك هنا. بعض الغرف تتضمن تلفزيون بشاشة مسطحة, بياضات, صوفا, مناشف, اتصال لاسلكي بشبكة الإنترنت (مجاني) لمساعدتك على استعادة طاقتك بعد يوم طويل. كما أن مجموعة الخدمات الواسعة الموجودة في الفندق لضمان راحتك تترك لك الكثير من الخيارات لقضاء وقتك أثناء فترة إقامتك. إن Grange On Farrelly Motel هو مكان مثالي للمسافرين الذين يتطلعون إلى الراحة والاستجمام في المدينة. Had two nites stay in early Sept. Receptionist Amanda was pleasant snd friendly on receiving us and provided all the information we needed. 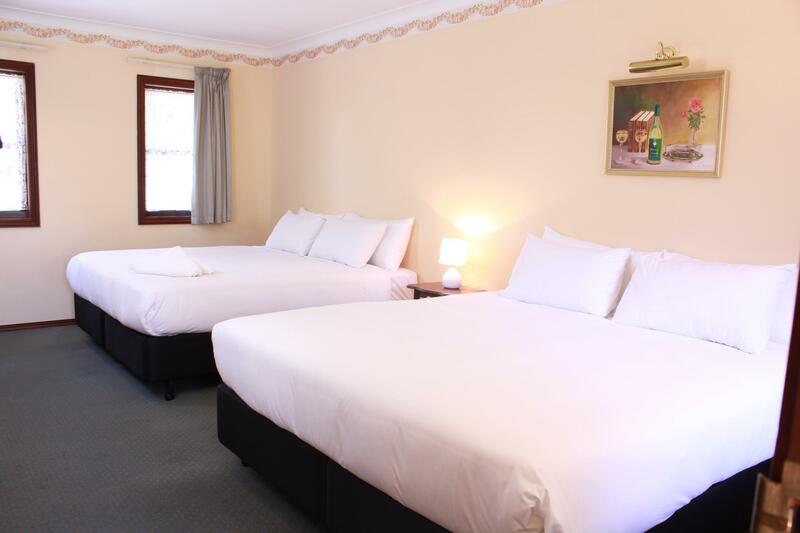 The family room has got 2 king size beds, clean and fairly big space, surrounded by shrubs within the motel. Coffee making facilities with complimentary coffee, cocoa, tea and biscuits as well! Even plates, fork spoons and knife are provided for the convenience. Almost all basic facilities like shampoo, hair conditioner are topped daily... definitely would come and stay again in the near future. Hi Evelyn, thanks so much for a great review! We are so pleased to hear how much you enjoyed your stay & we hope to see you again soon! The rooms here are spacious and the hotel is located at a quiet part of town still within walking distance to the main shopping and entertainment areas. The receptionist at the hotel is lovely and enthusiastic making check in and check out a breeze. The cleaning staff, however, are a miserable lot who failed to acknowledge any greetings and if you were still in your room when they wanted to clean (10am) then it was a major issue as they appear to be on some frenetic timescale that does not allow any flexibility in the order or timing of cleaning rooms. Cleaning staff apart, we enjoyed our stay here and would stay here again if in the Margaret River area. Huge room with couch, massive TV. Short walk to main street with lots of restaurants. The staff were super friendly and helped us with everything we needed and made some great recommendations for things to do in the area. We'll be back! Hi there, thank you for your feedback. We hope to see you again soon! Booked the double bedroom and toilets. It was spacious and clean. Had soap, towels, coffee, tea, milk, etc. Free wifi in the rooms. The place had free parking next to each unit. It is a short walk to Coles and IGA and shopping street. Very convenient location. Staff were very friendly and helpful. Quick check-in and check-out. Will recommend and stay again. Hi Eiko, thank you for your review & recent stay. We hope to see you again soon! 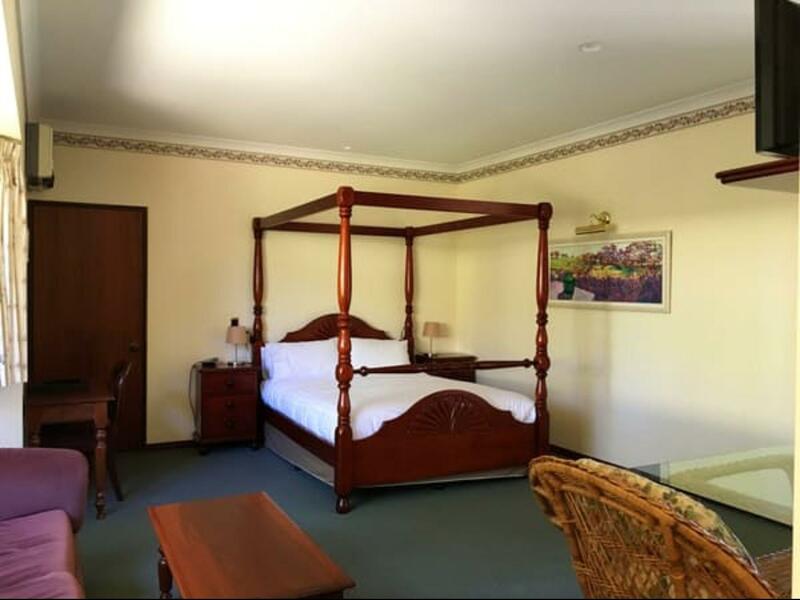 The location is good as within walking distance to Margaret River town area or its just a 5-min drive. The room is spacious and clean with 1 queen canopy bed and 1 single bed. The room is in English style decoration, although is aging but still clean and in good condition. Our room has direct access to the garden, too bad, the garden is not well maintained. This is value for money. Hi Hwa, thank you so much for your review. We're so glad you enjoyed the room & location. Since your stay, new owners have taken over & have done a lot of work in the gardens! We hope you'll be back to see the new gardens one day! Our room was spacious and well appointed. The room was clean. The staff greeted us and made us feel welcome, offering advice to make the most of our limited time. 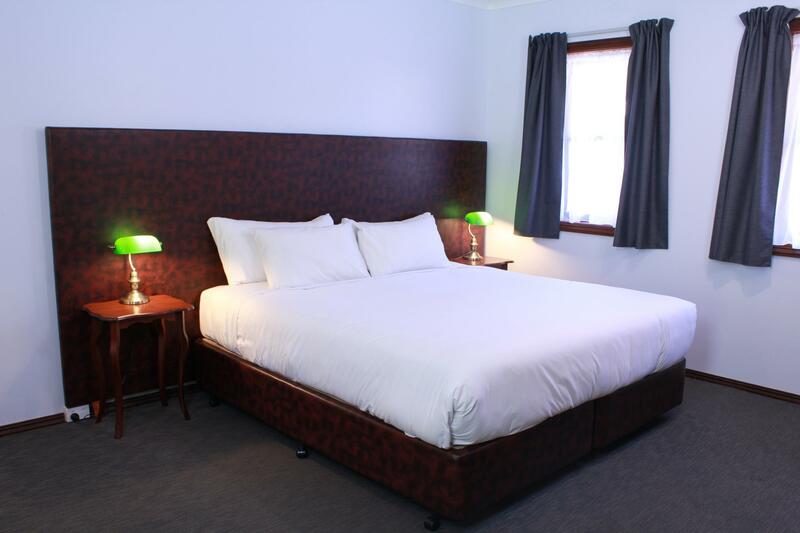 The Comfort Inn Grange on Farrelly is quite close to the main street of Margaret River so that we could explore and find somewhere nice for and evening meal. Margaret River is central so that we could explore the coast and the southern cape. It was an excellent choice. I would stay there again. Thanks for such a kind review Catherine, we hope to see you again in the future! perfect location. clean room. great friendly staff. Hello Wasana, thank you for a great review! We hope this means you'll be back to visit us again soon! Good and nice quiet place to stay. I was here over new years and rates were highly for value. Room was clean and very spacious and i room supplies adequate. Did not use outdoor facilities but they have a bbq and a pool. 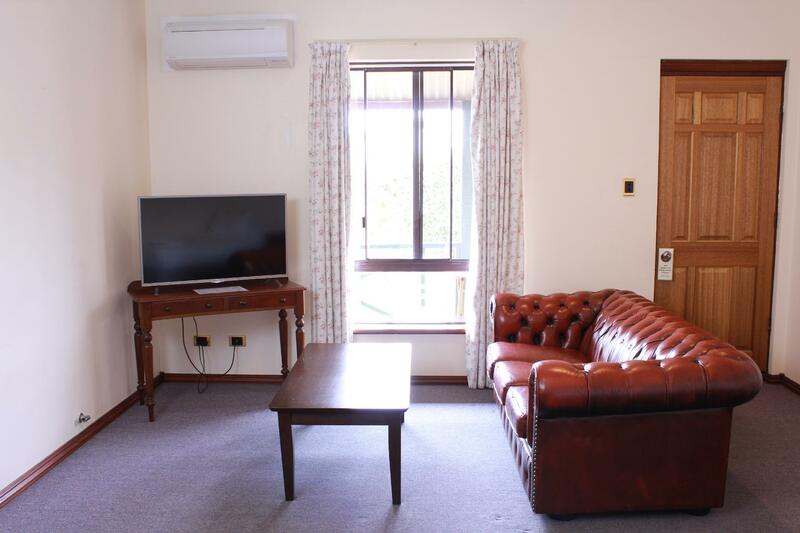 Good clean accommodation within walking distance to shops and restaurants. The owner was very nice to give me some toast pack for the next morning. She knew we might hard to find a place to eat breakfast in the early morning. The room is neat and clean. We went here on Christmas Day 2017 and arrived around 6pm. The motel owner checked us in very quick, after knowing we had been tiring travelling down to Margeret River from Experence. She was so lovely. After the check-in, she gave us 2 Surprise Christmas gifts, also another 2 gifts for the 2 kids that they were asked to pick themselves under the Christmas Tree! She even offered us dinner service if we couldn't get food in the town. After that, she gave us a map and explained the tourist attraction spots. All of these beyond our expectations! The rooms were very clean, nice, and cosy. We spent a wonderful Christmas Night here! The check-out process on the next day was also quick and efficient! I will definitely rate 10/10 and I will be staying at the same property if I travel down to Margeret River again. Thank you for the awesome hospitality! From the moment we arrived we felt at home- the lovely owner as well as her little helpers not only gave us an unsuspected upgrade, but had lots of amazing tips (winery's, beach spots etc.) for the Margaret river region! The room was beautiful and had the most comfiest beds! Also the selection of little shower gels and soaps were absolutely perfect! We regret not having spent longer there! Highly recommend staying at the grange on Farrelly Motel! Nice and neat room with a comfortable bed and decent size bathroom including a spa. No real complaints except a full length mirror would have be handy for when getting ready. Also I thought the room was maybe a touch too expensive for its size and inclusions. 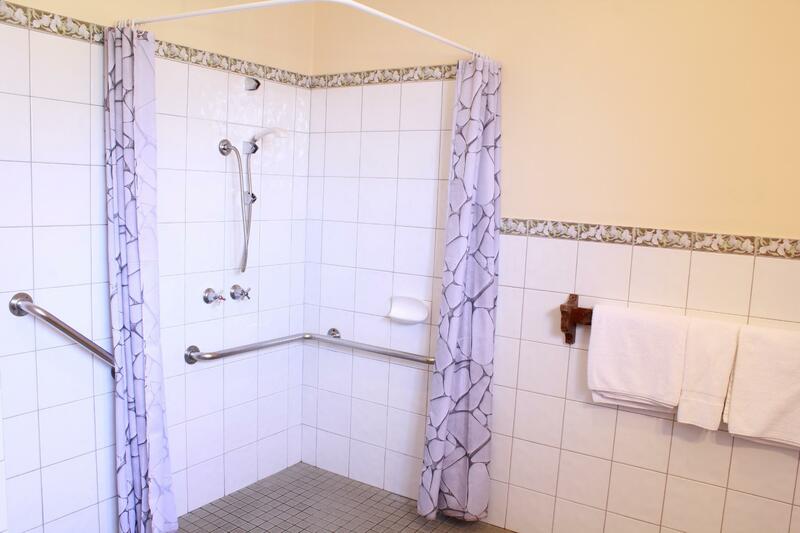 Facility is well equipped with pool, tennis court and more. All in all I’d stay again!! Hi Kiara, thank you for your feedback. We hope to be able to welcome you back again in the future! 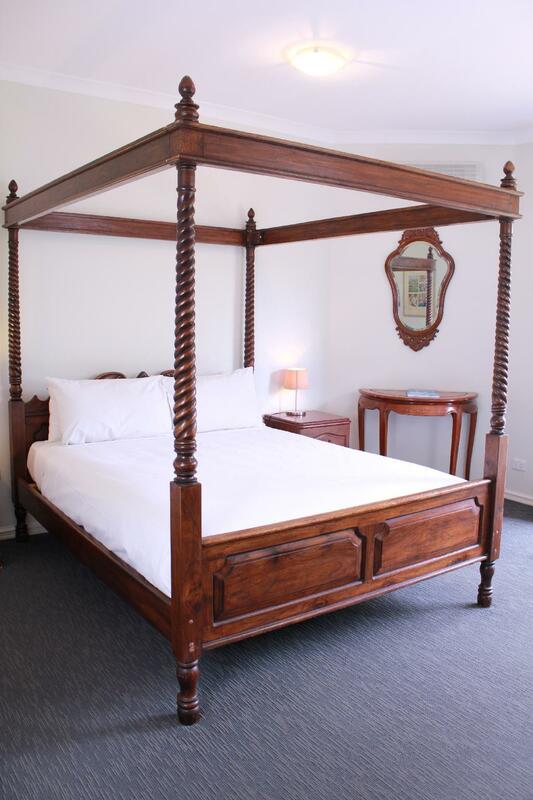 The Grange on Farrelly Motel is in a great spot - just a very short walk to the main street of Margaret River. The room was spotless and very spacious, and the family that run the business were just lovely. I would definitely recommend it, and will certainly stay there again! Hello Sharon, thank you so much for your lovely review. We are so thrilled to hear how much you enjoyed your stay here & we'd love to have you back again soon! We enjoyed our short stay. Staff were friendly and helpful. The room was immaculate and clean when we arrived. Great location within walking distance of the Centre of town. Only issues was the restaurant wasn't operating when we stayed. All in all we were berry happy with our stay and would stay here again in the future. Hi Brett, thank you for your feedback. We hope to see you again soon!